Whether you're one of the 29 million people diagnosed with diabetes in the United States or simply looking to limit your carbohydrate intake, finding recipes that are both delicious and nutritious - without a lot of starch or sugars - can be difficult. Fortunately, Fall is just around the corner, and so are new Fall recipes! The general recommendation for a diabetes-friendly, limited carbohydrate lifestyle is between 40 and 60 grams of carbohydrates per meal, or about 200-250 grams of carbohydrates per day. Of course, that number will vary from person to person depending on weight, age and physical activity level; it's best to consult with your physician, registered dietitian or certified diabetes educator to know what's best for you! 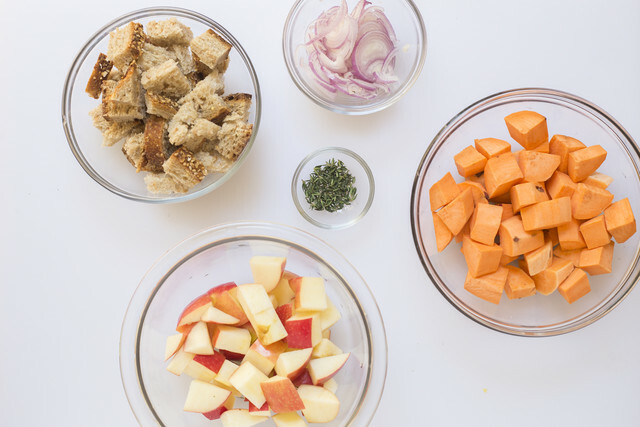 Combining the forces of our stellar culinary and nutrition teams, PeachDish has developed several recipes that are lower in carbohydrates and loaded with satisfying flavors that you're bound to "fall" for this season! Vegetable soup is more charming when we call it by its French name, n’est-ce pas? 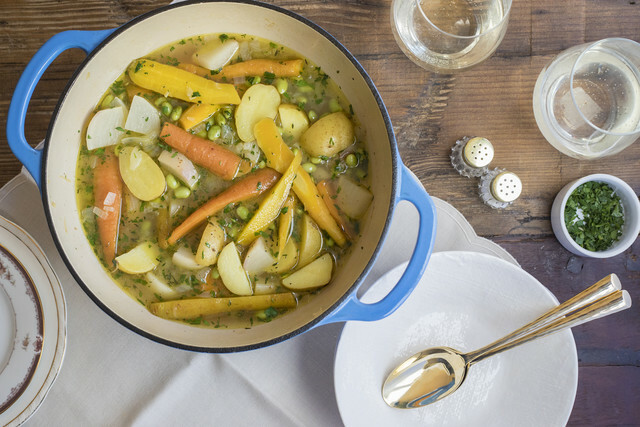 While a French-style ragout is often made with meat or seafood, this dish is comprised of generous chunks of seasonal vegetables simmered in a bit of delicious herbed broth - just enough to keep everything tender and well-seasoned without turning the dish into soup. Edamame (young soybeans) add satisfying protein and a nice pop of green to the pot. What’s more satisfying than a warm and filling pasta dish? 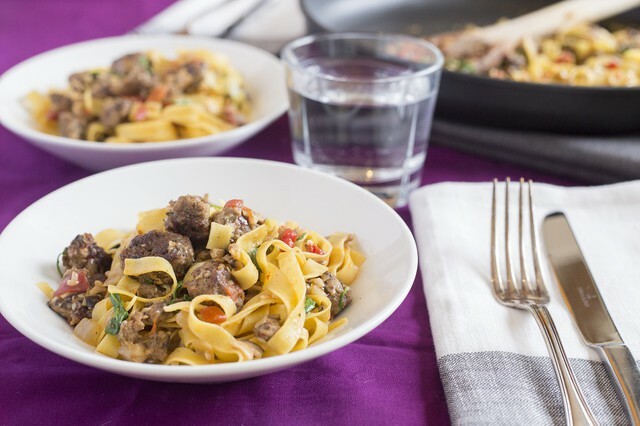 Fettuccine gets a double hit of savory flavor with the combination of grass-fed ground beef and mushrooms, while roasted red peppers and spicy greens add a touch of zing to bolster those bold flavors. A welcome touch of heat comes from a spice blend made with dried herbs and crushed red pepper, while Parmesan cheese - stirred in right at the last minute - adds an extra layer of richness to every bite. 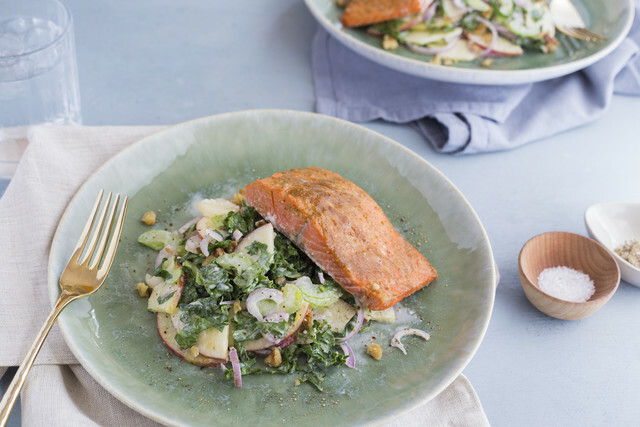 Wild-caught sockeye salmon, topped with a simple, three-ingredient glaze, is roasted and paired with a captivating slaw made with ribbons of kale, sweet-tart apple, blue cheese and crunchy walnuts – a sophisticated upgrade from standard cabbage slaw. 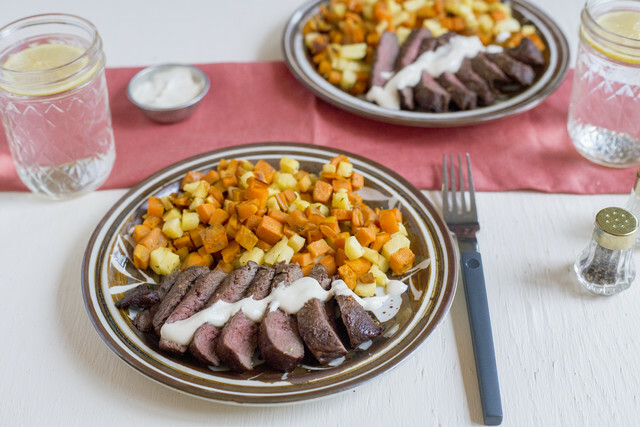 This meal is worthy of a classy dinner party, yet so quick and easy to put together. 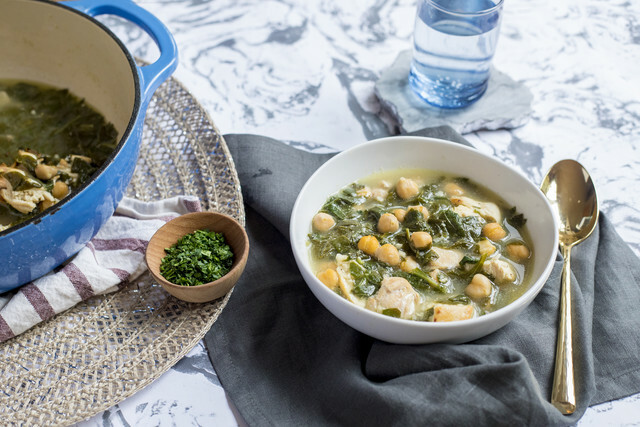 This soothing soup makes it easy to eat your greens during cool autumn months. It’s a light soup made filling with the help of protein-rich chicken thighs and chickpeas. Tahini, or sesame seed paste, gives the broth more body, and a twist of lemon keeps everything bright and cheerful. 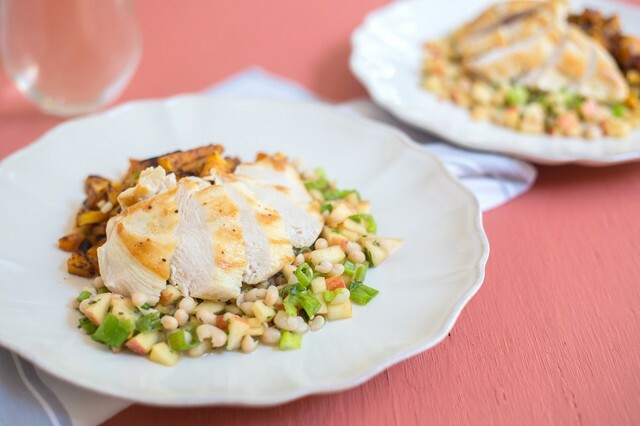 We believe everyone deserves a place at the dinner table, regardless of their dietary preferences, which is why we work to incorporate a weekly menu balance that includes both Southern classics (ahem, Comfy Chicken!) and nutrient-dense fare, like our Heart Healthy series of dishes that are bursting with fiber, vitamins and minerals, and flavor while being limited in calories, saturated fat and sodium. As always, all the nutrition information for any of the present or past meal kits is available on the website for you to explore.